With the effects of the Fifty Shades of Grey phenomena wearing off, many people are looking for new ways to bring a little fun back into the bedroom. Messy and old fashioned bedrooms are an instant turn off, so the Kitchen Door Workshop is here to provide the solution with its stylish doors that can update any bedroom that’s in need of a little TLC. 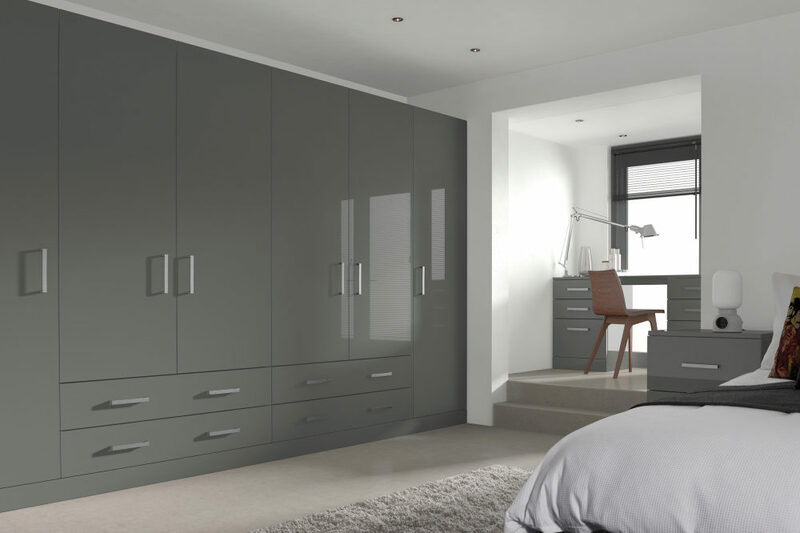 In bedrooms where the fitted cupboards and drawers are still in good condition, the tired and unfashionable old doors can be simply unscrewed and removed, and trendy new replacement doors from the Kitchen Door Workshop can be fitted in minutes. It’s quick, simple and causes minimal mess. Any DIY enthusiast can take on this task and with step-by-step You Tube videos showing every step of the process, the project is sure to be completed with no fuss. A free downloadable book with tips and advice is also available which can be used offline. The Kitchen Door Workshop doors retail from £4.29 including VAT. A Visions door measuring H149.5xW39.6cm retails from £59.68 each. A Storrington bedroom door measuring H149.5xW39.6cm retails from £48.69 each.